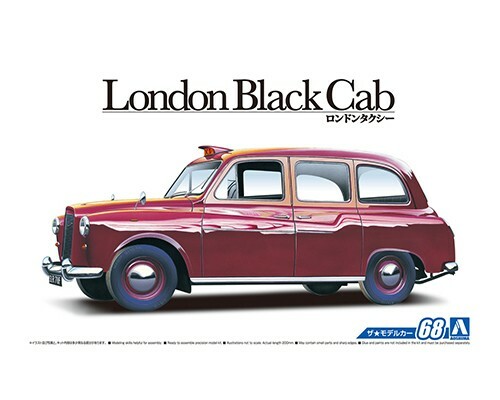 The London taxi, known as the “world's most beautiful taxi", has an old-fashioned design with a classic appearance and a high body. 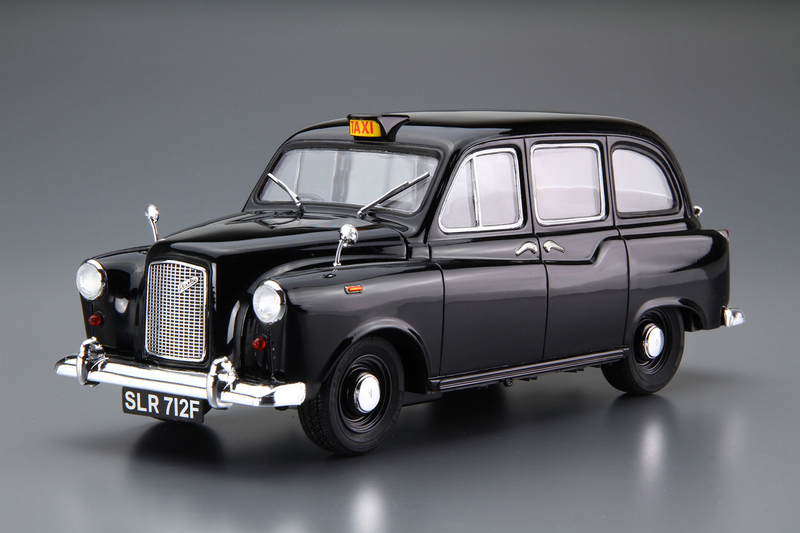 The history of London taxis stretches back over more than 300 years to the era of horse-drawn carriages.This kit is a model of the London taxi that saw lively service for nearly 40 years between 1958 and 1997.Although this vehicle was officially approved as a “designated taxi cab" by the British government in 1958, the basic styling had changed little from the previous model registered in 1948, so that this design from the “good old days" has been carried down to the present day.The spacious passenger compartment realized by the high body was created from a uniquely British consideration of allowing passengers to be comfortable in the taxi without having to take off their bowler hats. 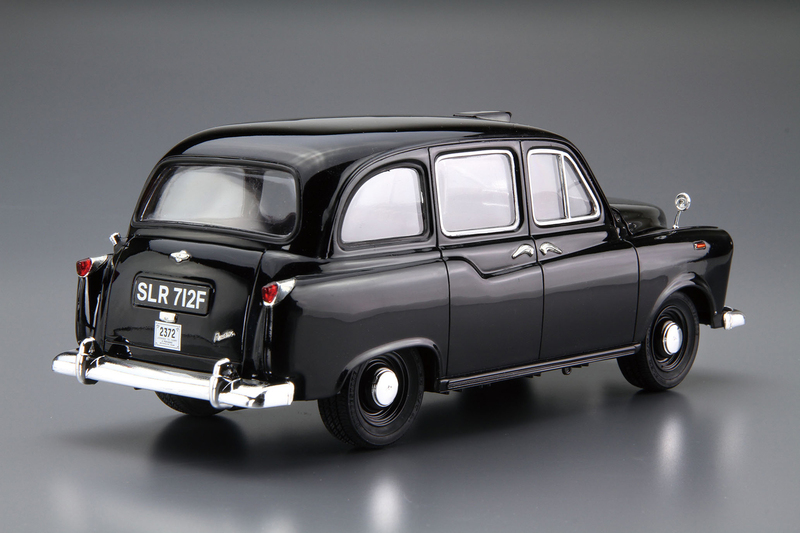 In spite of the large-sized body, the vehicle had an extremely small turning circle, with a minimum turning radius of 3.8m which is similar to that of a subcompact car. The 2,500cc diesel engine provided a tenacious ride.These vehicles were also imported to Japan in the 1990s, and these days they may still be seen at wedding halls and other locations around the country.